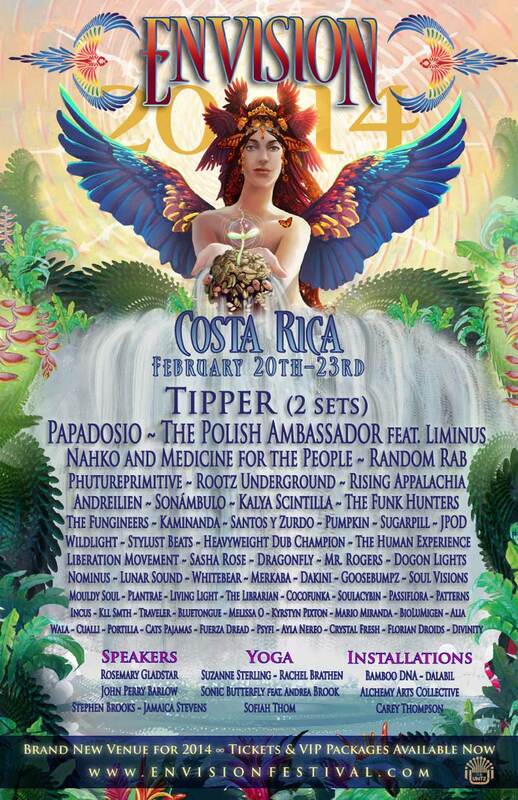 Now in its fourth year, the Envision Festival will incorporate LasersandLights.com in the jungles of Costa Rica February 20-23, 2014. Like 2013 our Laser Starfield Projectors will illuminate the Healing Sanctuary and other locations. LasersandLights.com is proud to be listed among the "PARTNERS" enhancing the festival as we did in 2013 also. This year the legendary musician Dave Tipper, the explosive Papadosio, and beatster Random Rab who was just in Nevada City at the Haven nightclub. Tipper, a longtime Burning Man participant, made a triumphant return to the playa this year after recovering from a life threatening injury. Click here for a 30 second slice of his set! The fine folks at Envision have assembled a stellar selection of tours, packages, and events before and after the festival. And stay tuned for more information about speakers, workshops, painters, and performers--we're getting excited about all the extras this event provides! Grab your tickets and VIP packages NOW at EnvisionFestival.com, and we'll see you down south. Pura vida!